*BREAKING* Statement from BreakOUT! 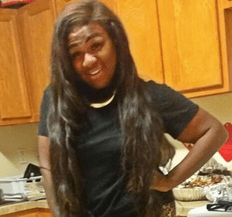 on Death of Black Transgender Youth in New Orleans – BreakOUT! BreakOUT! has just heard of the death of another community member in New Orleans, Penny Proud, the night of February 9th, 2015. While we mourn the loss of yet another member in our community, we are reminded how important it is to affirm the value of Black transgender lives, and one another. Unfortunately, as violence against transgender women of color is so rampant, BreakOUT! was already in the process of releasing a statement called #BlackTransLivesMatter when we heard the news. When the clock struck midnight on January 1, 2015, many people were hopeful for a year of change. Unfortunately, less than two months into the New Year, five* transgender women of color, Goddess Edwards, Michelle (Yazmin) Vash Payne, Ty Underwood, Lamia Beard, Taja Gabrielle De Jesus, and 1 gender non-conforming person of color, Lamar Edwards, had already been murdered in the United States. Further a queer Latina teenager, Jessie Hernandez, was shot and killed by police just this month in Denver, Colorado. These deaths had little to no mainstream media attention. The silence and lack of action from media on behalf of the Black transgender community sends a strong message that Black Trans Lives, in fact, do not matter. When these deaths were covered, they were often not given the respect they so deserve. Transgender women are often misgendered in news reports and their stories are often riddled with patronization and condescending opinions from reporters. We are calling on the media to respect all transgender people and their families by using the correct pronouns and names for transgender victims and use current photographs to allow our community to maintain dignity both in life and in death. BreakOUT! is a proud member of the National Coalition of Anti-Violence Programs,which found that in 2013, transgender women of color were the majority (72%) of victims of reported hate violence and also 7 times more likely to experience police violence and physical violence from law enforcement. In our 2014 report, We Deserve Better, BreakOUT! found that 84% of transgender people reported experiencing police profiling on the basis of gender identity or sexual orientation in New Orleans, with 57% reporting being harassed during the encounter. Further, 42% of LGBTQ people of color reported calling the police for help and being arrested themselves, compared with zero percent of white respondents. Transgender women of color need to feel safe in our communities. Instead of more police, we need more investment in education, jobs, and housing for LGBTQ people, particularly Black transgender young women. We know what we need to feel safe. We can tell you exactly what is wrong in our city and what needs to change. We can power map the city players and decision makers and tell you how our struggles are linked to other struggles for self-determination. We can sit through the funeral of one of our friends and not say a word about the fact that the preacher keeps calling her “he” and the family dressed her in a suit. And if the preacher walks away from the funeral when he finds out who is in the casket, we can stand up and conduct the funeral ourselves. We don’t want your pity. One of BreakOUT!’s Advisory Board Members told us that every day we wake up, we should look in the mirror and be proud because we have survived another day. And when we have one another for support and community, we believe we can thrive. In life and in death, we are all survivors. Please stay tuned for more information from BreakOUT! regarding the community response to this tragic death. * Post edited to reflect addition of Goddess Edwards and Michelle Vash Payne. On February 15, 2015, another transgender woman, Bri Golec, was stabbed to death by her father.